ALBUQUERQUE, N.M. (ANS — June 27, 2015) — July 4 is just around the corner, but not all Americans will be celebrating Independence Day with fireworks, a day off from work, a thankful heart and lots of food. For some, it’s just another day of fear and uncertainty. An incident from a few years ago just prior to July 4 ago came to mind. 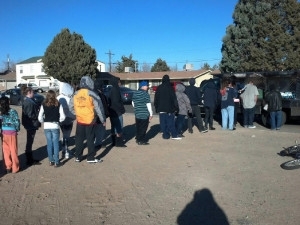 While out on the streets with Joy Junction’s Lifeline of Hope mobile feeding unit and parked at a local motel (where guests daily make the choice between paying the tab for a night’s sleep and buying food), a number of worried guests asked me if we would be there over the upcoming holiday. “Yes,” I was happy to reply, realizing yet again that need and hunger don’t take vacations. On July 4 of that year while out again with the Lifeline of Hope, sharing God’s Word, sack lunches, and other food as well as ice cold beverages with the hungry and discouraged, someone asked me in a plaintive tone, “Can I have a couple of sack lunches? It’s hard out there today, and you guys are all there is.” I gladly gave him a couple more sack lunches. (This year I won’t be out personally with The Lifeline, but our truck will be still going from east to west across the city). My colleague and I were able to pray for this man, and give him some hope. His plight and story were tragic. Daily we meet hurting and desperate individuals, both at Joy Junction and on the Lifeline of Hope. The bodies of some are in various stages of neglect and disrepair, suffering from the ravages of drug and alcohol abuse. When alcohol is sometimes unobtainable, mouthwash (and these days even hand sanitizer) serves as a convenient, but dangerous and potentially lethal alternative. While that’s true, it doesn’t address the reason why these precious souls started drinking excessively or abusing drugs in the first place. I’m obviously not excusing drug and alcohol abuse, but in many cases, it is a way to deal with unbelievable emotional pain that eats away with an ever increasing intensity at their soul. It would take a miracle of God to penetrate the heart of the man I talked about who hated his (now dead) stepfather. 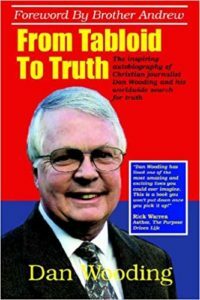 As he shared some of his intense personal agonies with us, I wondered how many people with whom he shared these struggles had written him off. It’s easy to do so, because then we feel relieved of responsibility to pray and get involved to help effect positive change in this man’s life. And while I strongly believe in God’s supernatural working, I know He works many times through us. He commands us to love the unlovely and unlovable. Whether we do so or not, the needy are out on the streets of Albuquerque (or your city) crying out to you for help. Your love and compassion are needed – but many times in short supply nationwide. The words of the hit song “Need You Now,” from the superstar country group Lady Antebellum come to mind. While the song explores the longings of separated lovers to reconnect in the early morning hours, I believe the Lord reminded me it could also apply to the thoughts of the homeless in those difficult hours as they ponder perhaps unsuccessfully reaching out to Christians and others. So my question to you is this. What would be your response if a “high-maintenance” friend, a distraught but troubled acquaintance perhaps on the periphery of homelessness, or maybe a homeless person you’ve known was to call you in the early hours of the morning-perhaps July 4? Your answer might well make the difference between someone hanging on to the last thread of hope, or plunging off the cliff into a terrifying whirlpool of emotional and physical devastation. It’s worth thinking about, isn’t it? I hope you have a wonderful July 4 celebration, but please don’t neglect to pray for and help those for whom this day will not have been one of joy and family togetherness. Photo captions: 1) A homelesss man seeking some human kindness. 2) Jeremy Reynalds. About the writer: Jeremy Reynalds is Senior Correspondent for the ASSIST News Service, a freelance writer and also the founder and CEO of Joy Junction, New Mexico’s largest emergency homeless shelter, www.joyjunction.org. He has a master’s degree in communication from the University of New Mexico, and a Ph.D. in intercultural education from Biola University in Los Angeles.His newest book is “From Destitute to Ph.D.” Additional details on “From Destitute to Ph.D.” are available at www.myhomelessjourney.com.Reynalds lives in Albuquerque, New Mexico with his wife, Elma. For more information contact: Jeremy Reynalds at jeremyreynalds@gmail.com.